I was set to thinking about ways of empowering wisdom and empathy in daily life while recently attending a “performance” by Tibetan monks from Drepung Monastery’s Loseling College. Like many such events, it was held in a public auditorium before an audience of Buddhists and other interested community members. The monk knew that with the proper outlook and motivation even a staged performance of shortened Buddhist rituals can appropriately engage the mind and energy of the audience to disseminate blessings and mental wakefulness. This understanding is fully in keeping with the methodology of the tantric path to enlightenment, a special focus of Tibetan Buddhism. Tantric practices are meant to utilize the reality at hand to create enlightened conditions, where any venue can be transformed into glorious Buddha fields. To accomplish this requires working with whatever is available - from beauty to ugliness - through disciplined activity. The goal is to transform ignorance, aggression and selfishness into purest heart and mind, which is the illumined state of Buddha Nature. Fortunately, the path is helped along through an easily remembered alphanumerical scheme. Tibetans hold a deep appreciation for the spiritual power of numbers. In Buddhism there are the Four Noble Truths and the Noble Eightfold Path. There are the Three Precious Jewels, the Five Buddha Families, the Six Perfections and the Twenty One Taras. The list is almost endless, but most useful for reminding the practitioner of the precepts of enlightenment. I am reminded in this context of another alphanumerical grouping from Tibetan spiritual philosophy, called the Four Enlightened Karmic Actions. The Four Enlightened Karmic Actions are fundamental to Buddhist tantra (the Vajrayana or “Diamond Thunderbolt Way”). They empower tantric practice into a powerful, homeopathic, alchemical medicine meant to work with the elemental qualities of life and mind to cure humanity’s root affliction of primordial ignorance. The Four Enlightened Karmic Actions are energetic strategies that are particularly applicable to this day and age as antidotes to our present sufferings. In order to fully understand them, however, we first need to take a short detour into the Tibetan realm of the mandala. The Four Enlightened Karmic Actions or “Four Karmas” are directly related to the fourfold architectural plan of the mandala. Mandalas may take the form of two dimensional paintings, three dimensional sculptures, or something in between when made from colored sand particles. But they are all artistic visualizations of the ideal state of psychophysical unity. To this end, the mandala is designed in the form of a rainbow-lit, palacial temple of an enlightened being such as a buddha or bodhisattva. Mandalas are by design, ecospiritual maps of both our unperfected, ordinary reality and the potentially perfected state of being outside and within. The usual design of a mandala consists of a fourfold equilateral cross resolving into a central focal point. This is known as a quincunx in Western philosophy. The quincunx encapsulates the four quadrants of inner and outer reality and also their unity at its intersection, which is usually shown as a small circular field. The quincunx is surrounded, in turn, by a larger circle, which indicates the interconnected totality of these 4 directions and the meanings and energies that each signifies. The mandala is in one sense a compass-like map of the outer world reality, with its eastern quadrant as the starting point of a natural, sunwise internal movement. It is also a map of our inner bodymind terrain. Each directional quadrant and the center signify one of five aspects of our “psychophysical continuum,” from our bodily existence, actions, emotions and perceptions to the consciousness, which coordinates them all. The mandala also maps the neuroses and blockages of these five faculties of personal being. And, more importantly, it sets forth five enlightened wisdom lineages and types of energies that serve as antidotes to these factors which hinder us from becoming buddhas. Then, through concentrated effort via meditative practice, the conventional bodymind may be transformed into the idealized state of buddhahood signified by the mandala’s field of symbols. The Four Karmas come into play in light of these understandings to empower wisdom’s awakening. Each karmic action is connected with one of the four cardinal directional quadrants of the mandala’s quincunx, while the fifth, central direction, or quintessence, is the enlightened unity of the four. Unlike conventional karma (ley in Tibetan), where the counterproductive effects on self, others and world usually generate unhappiness and confusion, enlightened karmic actions are karma-less; they do not generate negative karmic effects. And when they do cause effects to arise these bring positive results. Conversely, when we all put out a thought, word or deed into the world, the results – be they immediate or protracted – tend to wind up somehow causing suffering or mayhem in their wake. Such is the nature of karma in our unenlightened human state. A buddha’s karmic actions or “wisdom-energies,” are by definition always applied in an enlightened fashion, without creating negative karma. This is the art and the challenge to be met in each of our lifetimes on our reincarnation roads to buddhahood. Understanding the sacred trust involved in applying the Four Enlightened Karmic Actions to our lives, let’s now explore them in detail and consider how they can meet the current challenges in our collective human condition. Each enlightened karmic action is associated with a cardinal direction and its inherent quality. For example, the dawn is the essence of the east, a time of quietude and of peace. At dawn, the rising sun has yet to have stirred the molecules of atmosphere into active daytime weather. The dawn is a time for quiet reflection, for the dawning of one’s thoughts and plans for the day. It is a state of eternal springtime. In the mandalic vision, east is the appropriate realm of the enlightened karmic action of pacification of bodymind, of peacemaking. The energy of pacification is particularly well applied as an antidote to a mind that is inquiet and troubled. In Vajrayana Buddhism there is a lineage of buddhas, the Eastern Buddha Family, which serve as symbols of the enlightened karmic action of pacification. Each of the four karmic actions is associated in turn with a different buddha family lineage and system of transformation. But because the ensuing three karmic actions become increasingly more powerful, and increasingly dangerous with which to work, Buddhist teachers tend to counsel beginners to first develop the energy and karmic action of pacification. As the cycle of the day shifts to a sun riding high in the noon sky, so too do karmic actions progress into a heightened state of energy. The southern mandala quadrant is bathed in the full power of the summertime sun and daytime of life. The solar rays spread worldwide, bestowing their golden, life-bearing energy upon all things. Similarly, the practitioner learns to wield the enriching energy of the south, as symbolized by its family of golden buddhas. Like the pacification energy-action of the east, the enriching energy of the south is mostly beneficial. Still, just as one can burn one’s fingers on a stove where nutritious food is cooked, so too can one get singed without being properly mindful of the power of the karmic sun of enrichment. The mandalic day progresses into the realm of sunset’s dusk and twilight. Its seasonal association lies with the autumn. Just as the sap reverses its flow back into the roots of tree or plant to counteract the chill of night and the coming winter, so too are one’s attention and life force energies reversed and one is attracted involuntarily toward a compelling object of thought and seeks to merge with it. When this quality is harnessed toward enlightened ends it is known as magnetizing karmic action. The buddhas embodying magnetizing energy and action are envisioned as having a fiercely attractive presence. They are often flushed with a tinge of sunset red because of their ability to magnetize the attention and life energy through a state similar to the flush of lustful attraction. This works in appropriate cases when the unenlightened bodymind of the practitioner needs to be compelled, even entrapped, into identification with the enlightened state. But occasionally the fourth karmic action-energy of the mandala is invoked. Where the depth of ignorance and extent of karmic blockage to enlightenment are particularly strong, the dark nighttime power of the wintry northern quadrant must be wielded in order to blast the practitioner out of a particularly entrenched kind of primordial ignorance. The karmic action brought to bear here is one of “destroying energy.” Its lineage buddhas are visualized as having terrifying or wrathful demeanors, to signify this most powerful of spiritual medicines. But wielding destroying karmic action is a last resort as it is meant only for the most experienced and awakened of practitioners. Buddhism holds wonderful teaching stories that illustrate properly-applied karmic actions. There is nothing like a good story to bring home the fullest meaning in an easy and natural manner. Since the destroying karmic action is potentially dangerous and certainly misunderstood, Buddhism has a wonderful story showing the challenges of wielding it. The story goes that during the previous kalpa, or macro-cycle of reality, a world-teaching Buddha was living among society. One day he was aboard a ferryboat crossing a body of water, when in his omniscience he realized that the vessel’s captain was intending to murder all onboard. So the previous Buddha took countermeasures utilizing enlightened karmic action. He killed the boat’s captain. The usual answers revolve around protecting the passengers; after all, the captain would otherwise perpetrate a massacre. The Buddha saw it differently, however; to kill the captain would save the man from absolutely horrible karma in numerous, negative, future rebirths. In doing so, the Buddha took the situation’s negative karma onto his own shoulders. The moral of the story is that wielding destroying energy requires impeccable intent, compassion and understanding. So, it is carefully used in Buddhist practice and is rarer still in daily life. We live in a world and time where the Four Karmas - in their raw, uninspected forms - are spinning wildly out of control. Despite the best efforts by the wise among us, we collectively put up walls to understanding our state of affairs. Then, when our karmic effects congeal into conditions of the “here and now,” we come to reap what we have sown. The confusion and suffering of these times is the direct result of unwisely-applied karmas created by our confused collective ideals, words and deeds. Thinking back to the mandala, and its fusion of personal qualities, neuroses and their enlightened antidotes, the Four Karmas activate the process of transformation according to the character and needs of the person. Anger becomes transmuted into pacified self-awareness; pride into selfless generosity; desire into actively seeking knowledge; and ruinous jealousy into altruistic accomplishment. But if today’s individuals are poorly-equipped to wield the Four Karmas enlighteningly, what can be said of groups of such people who now captain our ships of state? Are their hazy ideals and unreflected-upon methods somehow rectified by the corporate/nation state model? Or will the power of their ignorance continue to fuel mass confusion and suffering, as seems to be the case in our present world? If the latter circumstance is closer to reality, as it surely is, then what can be done about it? If it takes a buddha to know what to do, how can we possibly succeed while wielding our weaponry and words in daily living? Mired here in ignorance’s karmic muck, in our unsustainable and unsustaining state of affairs, there is a special opportunity at hand to do something about it. And the Four Karmas are available, under the guidance of Wisdom and Compassion, to empower this transformation. From the Buddhist standpoint, we need now to evoke three things in the process: Compassion - a warming of heart toward the earth and its beings; Wisdom - knowing the big picture of existence to be a living mandala, in all its glorious and terrifying beauty; and, Enlightened Karmic Actions - generating the intention and activity for Wisdom and Compassion to arise, without and within. Excellent Sir! Thank you very much. 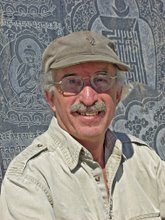 I am going to teach an open house class at my local Shambhala Center on the Four Karmas and was searching for writings, in addition to what my teachers have already written, about the Karmas.